A child learns constantly. Every new experience creates opportunities for acquiring life lessons. 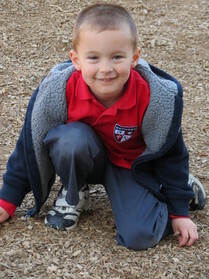 Preschool teaches and reinforces skills in a nurturing setting. By interacting with each other and receiving gentle guidance from teachers, preschoolers learn valuable skills, qualities, and values. When young children interact with each other, there are plenty of opportunities to learn from choices that are made. As they play and work together on an activity, they quickly decipher which behaviors are acceptable and which are not. They get to test boundaries while seeing the direct consequences of their actions. Through their interactions, they learn, for example, that cooperation is met with approval while pushing or grabbing leads to lost privileges. By playing out different scenarios and experiencing the outcome of different choices, children figure out how to make good decisions in a safe group setting. Through songs, play, and age-appropriate lessons, young students learn how to communicate well. In addition to acquiring basic writing skills, they are practicing how to speak in complete sentences, how to verbally ask for what they want, and how to explain their point of view. Each school day provides new opportunities to verbalize ideas and express them to peers and patient teachers. Communication may be simple at first, but with practice even the quietest preschooler will soon know how to communicate effectively one-on-one and in a group. This important lifelong skill can blossom in preschool. Young children learn the essentials that go into making a friendship. They figure out how to be a good friend, and they have the opportunity to experience friendships with classmates who may have different interests, abilities, and backgrounds. Children have a natural desire to help others. 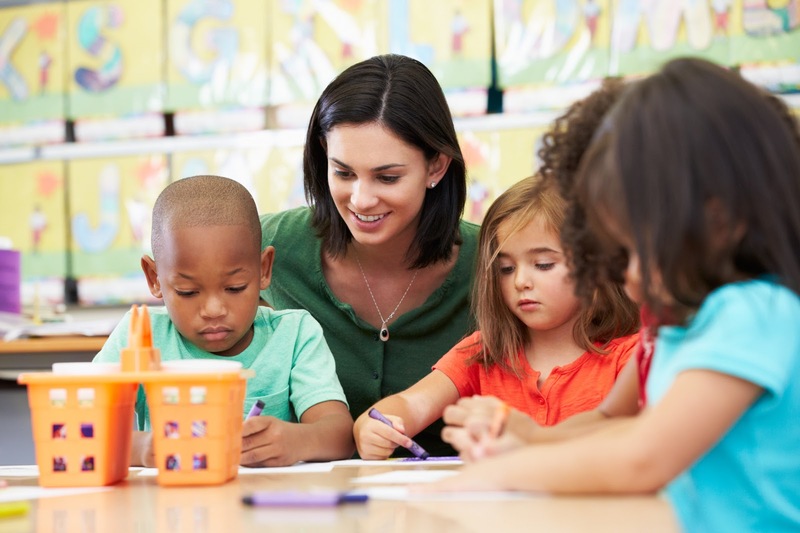 When preschool teachers trained in classroom dynamics and human behavior guide this innate inclination, a child can display qualities like compassion and empathy. In class, children are encouraged to help one another. When a preschooler sees classmates helping each other, it strengthens that innate desire to help others. A preschool setting also strongly nurtures sharing. An activity like coloring, for example, naturally creates the opportunity to share crayons. Playing with toys, puzzles, and building blocks also leads to informal lessons on cooperating and sharing, as well as patience, taking turns, and working together as a team. The early classroom setting offers excellent opportunities to try new things and, over time, excel at them. 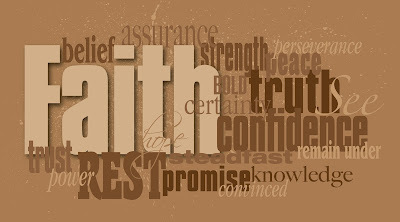 This process of trying something repeatedly until achieving success is the way to develop confidence. Also, activities that give a child the chance to contribute in a visible, meaningful way build self-confidence. Participating in show-and-tell or serving as a classroom helper can increase and reinforce a sense of confidence in every preschooler. This can-do attitude developed early in life will carry over into primary and secondary grades to give each child the necessary internal strength to embrace life confidently at every stage. Douglas talks about the research on top students learning habits. If your family is in need of financial assistance, scholarships are available through The BASIC Fund, a privately funded organization providing partial-tuition scholarships to low-income families across the Bay Area. For more information on how to apply for one of these scholarships, please visit: basicfund.org. Call 707-451-6683 to schedule a tour! Please Join Us February 15th! 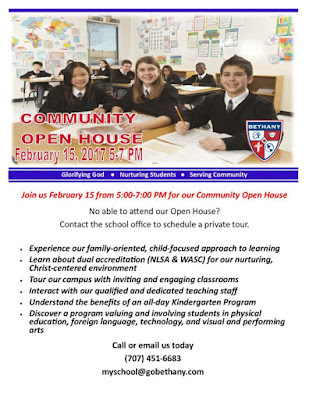 Not able to attend our open house? 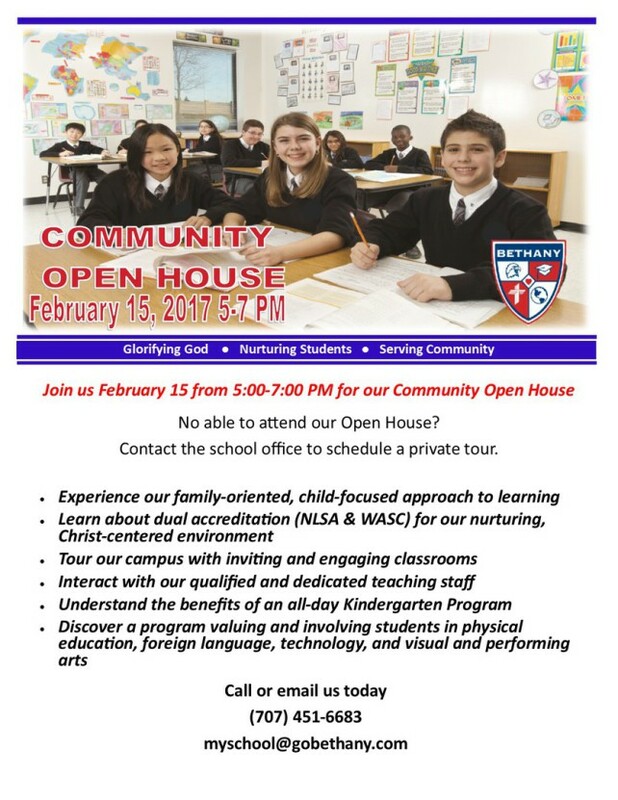 Contact the school office to schedule a private tour! When it comes to education, private schools go that extra mile to ensure your children are better prepared for the world. If you're looking to give your child the best possible education, these types of institutions may be the answer. 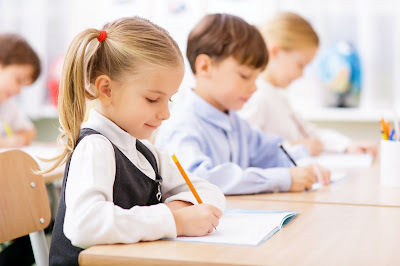 Here you will learn about some benefits of private education. While public education has a ratio of 17 students for every teacher, private institutions only have an average of 9 students for every teacher. Many people choose to enroll their children in private schools because they prefer these smaller classes. Thanks to the smaller class size, teachers and personnel can give every student the individual attention they need in order to succeed academically. Plus, the teachers can also spend more time making sure every student fully understands the material covered in class. These institutions enjoy excellent academic reputation. Their standards are usually pretty high, but they also encourage their students to learn and to achieve excellence. Generally, their students perform better on any standardized test than students from public institutions. In addition, according to the National Assessment for Education Progress (NAEP) only about 57% of public high school students apply for college, compared to 88% of private schools students who apply for college. They are also more likely to complete their bachelor or master's degree. Additionally, the graduation requirements are more challenging and have higher standards. Not only must children and teenagers always deliver quality work, but also participate in community service, arts, and activities. All these mandatory activities will expose them to the arts and volunteering, and will help them develop into mature adults. Private institutions encourage parents to participate in all aspects of their child's education. This is extremely important for the child, not only academically, but also psychologically. Children whose parents are more involved in their lives perform better in every aspect, and tend to become happy, confident adults. Additionally, there's a strong sense of commitment and loyalty among the parents. They feel proud of the community they have formed. Since these types of institutions don't have to follow all state regulations, they spend less time on paperwork and more time on educating their class. In addition, teachers enjoy more freedom to teach following their own methods. They are less focused on test scores, and more concerned with making sure that everyone is learning. However, this doesn't mean that they don't have an academic standard. On the contrary, their academic standard is usually very high compared to public institutions. Also, when it comes to teachers, private schools know they have a reputation to maintain, which is why they are very selective with the people they hire. Teachers tend to be very qualified and very good at their job. This plays a big role in your child's education. Finally, the most important advantage about these types of institutions is that you are the one who makes the choice. Your child's education won't be determined by geography; it will be determined by you. If you are a parent trying to decide on a private school for your child, you may want to seriously consider sending your child to a Christian school. There are many Christian schools across the country and they are affiliated with many different Christian denominations. Probably the most well-known Christian school is the Catholic school network affiliated with the Roman Catholic Church. However, you will find non-denominational Christian schools as well. Many people erroneously assume that if they are not a Christian that they can not attend a Christian school. Or, that you can't attend a Christian school of another denomination. This is entirely untrue. 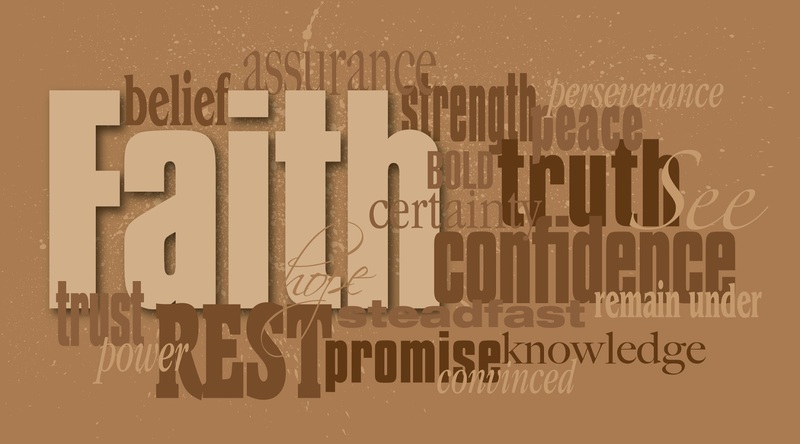 Most, if not all, Christian schools accept students of all faiths and beliefs. Some schools may require that you attend a church on a regular basis or attend a church of the same faith. However, most Christian schools only require that you have the same or similar Christian beliefs that they do. Christian schools are typically priced a little lower than other private schools since they usually are supported by a local church and consider their schools a part of their outreach ministry. Most also offer financial aid to help those who might not otherwise be able to afford private school. One thing your child will get at a Christian school is an excellent education. Christian schools are held to the same standards as public schools so the classroom time is very similar to public schools. However, Christian schools will also have Bible teaching as part of their curriculum. But you will also find English, Math, Science, Art, Social Studies, History, Home Economics, and other classes that your public school offers. They will also offer many of the same sports such as basketball, field hockey, soccer, track and field and others. Attending a Christian school is like attending a public school with the added benefit of having Bible teaching. Also, since it is a private school, the class sizes may be smaller and the teaching may be better for this reason. And since Christian schools are run with Biblical principles, discipline problems may be lesser.